Biking in Seattle today requires skill and bravery. For someone new to biking, not comfortable jockeying with fast moving traffic, or trying to bike with their children, finding a safe route to work, the store, or school can be incredibly challenging—if not impossible. Despite repetition by mainstream media and SDOT (Seattle Department of Transportation), Seattle is not currently a great city to bike in. The myth of greatness is part of what is holding Seattle back, and needs to be put to rest. To help bury this myth, let’s hear from mothers and fathers trying to bike with their families in Seattle. Shirley Savel biking with the kids. Sure, we bike because it can be fun, healthy, and we need to get places, but more importantly it’s an economic necessity for our family. During two very rough periods of unemployment, rather than paying bus or train fare we biked. Biking saved my family from homelessness. Even after finding work, biking has remained an integral part of balancing our family budget. After close to ten years biking in Seattle I am getting tired finding real viable bike connections to get me from place to place. I can now say that I have lived here long enough to see slow progress/process. In SE Seattle nothing connects. How do I get to places like the library, doctor, grocery store, dentist? No routes connect me to anything. I live in a void. When I bike home from North Seattle I follow the Central Area Neighborhood Greenway south but don’t bike to the end because I value my life. I choose the greenway because it has all the elements I love in a slow street: speed humps, flashing beacons, low grade roads and all around less cars. SDOT has a way of ending this. It ends in a protected bike lane to Franklin High School and the Light Rail Station. Ha-Ha. Just kidding. It dumps you right into Rainier Avenue. THE MOST DANGEROUS ROAD IN SEATTLE. I made this 53 second video to show you. Tim Fliss is a father who bikes with his family in NE Seattle. Shirley’s lived experience is not unique. Families across Seattle face similar obstacles. To validate his experiences with data, Tim Fliss created a map showing the routes that families have available to them. Tim’s map below shows all the routes that SDOT has completed (or will complete by the end of 2016). The green lines are routes that, generally speaking, are comfortable for families: neighborhood greenways, trails, and protected bike lanes. The red lines are routes that are almost always stressful for families such as sharrows on busy streets and door zone bike lanes. Having trouble seeing the map? Click here to view it directly. What happens when you remove the red lines, and leave routes that are comfortable for families and people of all ages and abilities? You’re left with stranded lines scattered throughout the city. You’re left with stranded families like Shirley’s and Tim’s. It’s time for Seattle to own the fact that we are not yet a great city to bike in. Green Lines map by Tim Fliss. All families should be able to get around Seattle on a network of safe streets. To get there, we must be honest with ourselves about our current situation, and work hard to improve the lackluster bicycle implementation plan. Stay tuned for part two of this series that will lay out how to build a network that families can use into the bicycle implementation plan. This is a cross-post and originally appeared on Seattle Neighborhood Greenways. 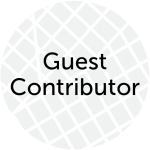 Gordon Padelford seeks to empower local neighborhood greenways groups and leaders. Gordon loves walking, biking, parks, safe streets, hiking, and living in Seattle. He got involved with Seattle Neighborhood Greenways through volunteering with his local group, Central Seattle Greenways, where he coordinated the SR 520 campaign and organized the 2013 Livable Streets Mayoral Forum. 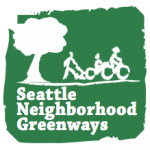 Seattle Neighborhood Greenways is a safe streets advocacy organization with a rapidly growing volunteer coalition. Together, this coalition represents many neighborhoods across Seattle who plan and advocate for safe, equitable, and comfortable streets connecting people to the places they want to go.